In a small, second floor suite at Lowe Mill, there’s a highly personal, downright magical process taking place daily – the distillation of Irons One Whiskey. Distiller Jeff Irons and his wife Vicki work together to create a preciously delightful adult beverage – one that’s meant to be savored slowly. 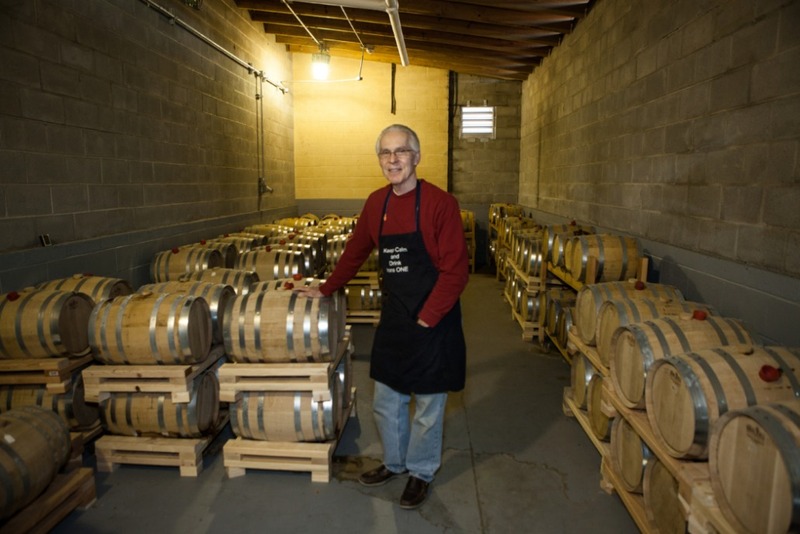 For over 40 years now, Irons has cultivated his love affair with whiskey, starting as a New Jersey teen crossing the state line with his buddies into New York state, because of the lower legal drinking age. Once over the border, drinks were pricey, and New York and New Jersey’s finest had a keen eye for drunken teens on the road. As the group’s official designated driver, Irons selected whiskey because it could be savored, as well as it being cost-efficient. While an engineering student at Virginia Tech, Irons had his first taste of “homemade” whiskey, later followed by samples obtained from his brother-in-law’s dad, who was a physician in West Virginia. When the good doctor’s patients couldn’t pay him with cash, they paid him with home-distilled whiskey. Despite the long romance, the NASA engineer became interested in opening his own distillery only within the past few years. Irons’ business model is to remain small and personally involved in the distillation process. “I love making whiskey,” he said. “From mashing to fermenting, to distilling, to aging and bottling – I love this process. The only way I know how to make the best whiskey is to be totally involved in every step of the process. The love, patience, and commitment are evident in the final product. Irons One was recently judged as the Double-Gold winner by “The Fifty Best” in the category of bourbon whiskey, which is quite an honor. In the selection, strict tasting rules are applied to the “blind” tasting of 46 bourbon whiskeys; all ranked by members of “The Fifty Best” spirits judging panel. Double-Gold, Gold, Silver and Bronze medals are also awarded, based on the final point scores received from the judges.